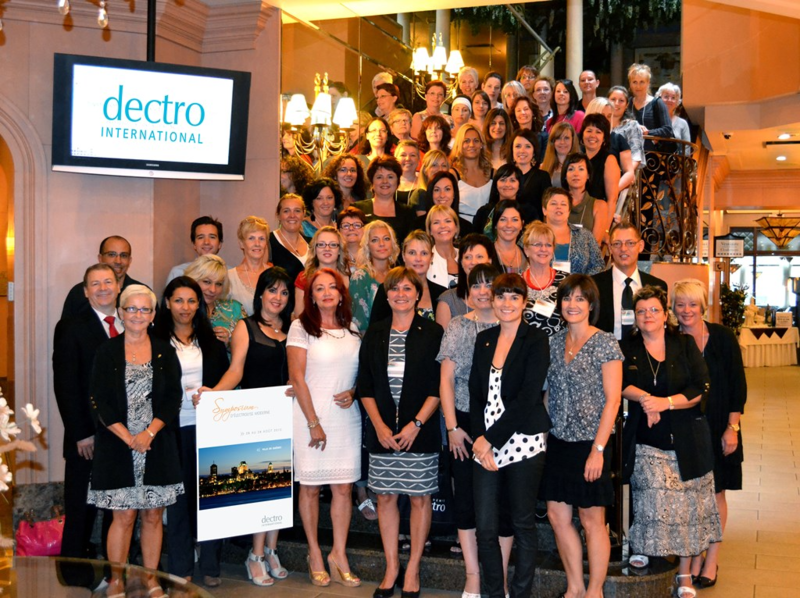 Presented by the Dectro International team and Académie Apilus, the Modern Electrolysis Symposium is designed for professional Electrologists who wish to broaden their skills by learning about new technologies and applications techniques that are applicable to their day to day work. The Symposium will be held in the Old Quebec City historic center, a strategic location for tourists to discover the beauty and charm of this first French European establishment in North America. Hurry Up! Places are limited. 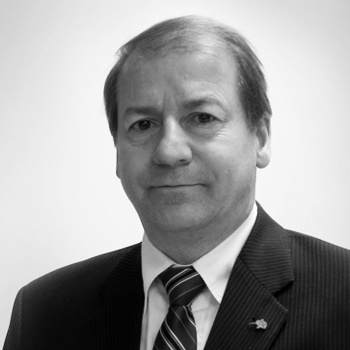 Clement Beaumont is the president and CEO of Dectro International, a company specialized in manufacturing of electrolysis equipment. 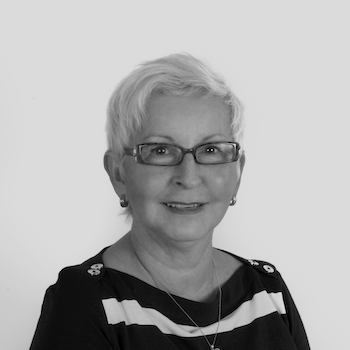 Johanne has more than 33 years of experience both practicing and teaching in Electrology and Aesthetics. 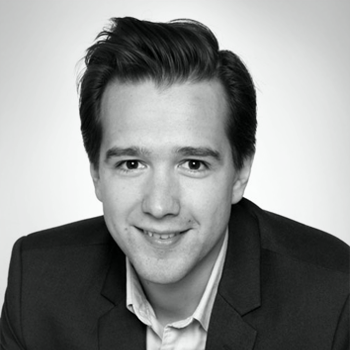 Dario is a MBA graduate specialised in Marketing and International Business with 7 years of experience in sales and customer relations. 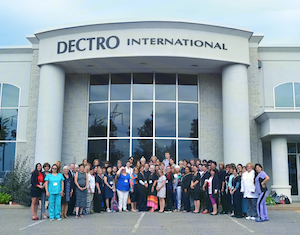 Mrs. Lévesque is actively involved in the development of new electrolysis application techniques with Dectro International. 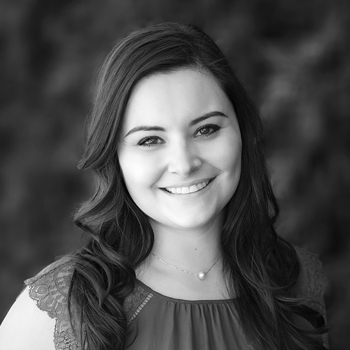 Joanie has 12 years of experience as an electrologist and aesthetician, and more than 5 years as an instructor in these fields. Most Electrolysis devices on the market offer the possibility to perform Thermolysis and Blend treatments. While some work exclusively with Thermolysis, others swear only by Blend to remove all hairs. The modern Electrologist however is able to identify the right technique according to different factors that she evaluates prior to the treatment. These specific factors and situations will be presented in this lecture enabling you to obtain the perfect efficiency/comfort ratio every time. 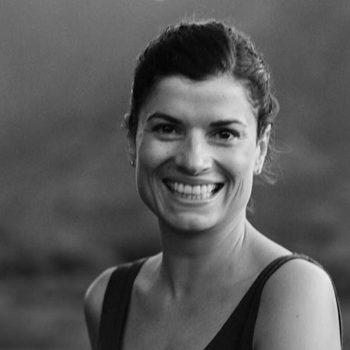 When removing a hair with electroepilation, the main goal is to generate just enough Energy Levels (or Units of Lye) so the hairs slide out easily and the treatment stays comfortable. This conference presents different tricks that will help you find the best settings according to the hair type and body region. In this first part, we will address three body regions: bikini, underarm and legs. 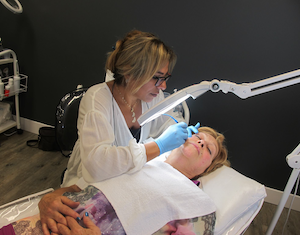 Although photoepilation and electrolysis technologies are quite different in their application, both have the ability to destroy stem cells around the follicle. In order to get a better understanding in how these stems cells are really affected, this lecture presents the results of multiple scientific studies in a comparative manner. 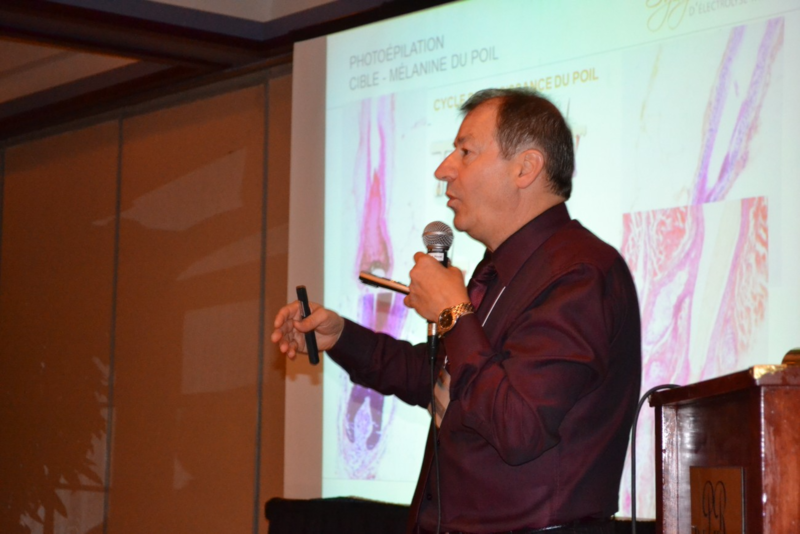 After attending this presentation, the professional Electrologist will be able to explain to clients the capabilities of both technologies and suggest the best treatment possible according to the body area to be treated. Of course, the main reason a client comes to an Electrology institute is to get rid of their hair. However, clients also come to get pampered in a friendly, comfortable and clean place. This lecture will present simple but effective guidelines that will help you create a welcoming environment and control hygienic issues. A good electrologist combines skill and knowledge. However, an excellent electrologist is also always on the lookout for the latest technological developments and seeks to apply them to continuously improve her practice. This conference will present an array of new effective electrolysis modalities, intelligent programs, and smart management solutions that can significantly help modern electrologists in their day to day work. Even as an experienced Electrologist, you have certainly encountered several difficult cases during your career. Pulling hair, low results, strong regrowth are among these problematic situations that make you scratch your head. In this lecture, we will present the 5 most difficult cases in Electrolysis and expose the best way to approach them. When removing a hair with electroepilation, the main goal is to generate just enough Energy Levels (or Units of Lye) so the hair slides out easily and the treatment stays comfortable. This lecture presents different tricks that will help you find the best settings according to the hair type and body region. In this second part, we will address three facial regions: chin, eyebrows and upper lip. For many Electrologists, marketing doesn’t come naturally. You may pay consultants thousands of dollars for advice and then implement their suggestions for even more. However, there are plenty of ways to create a consistent buzz without spending a bundle. This lecture presents 7 budget-friendly strategies to help you reach your goals quickly and simply. By choosing this workshop, Electrologists will have the opportunity to discover how photoepilation technologies can act as an effective complement to their practice. A hands on application using the latest intense pulsed light (IPL) devices will be offered. Award of certificates and taking the group picture. Follow the directions for Quebec. Approaching Quebec City, take the Pont Pierre-Laporte bridge and take the Blvd. Laurier exit. This street will change name two times (Blvd. Laurier and then Grande-Allée). Stay on this street for approximately 10-15 minutes depending on traffic and turn left onto Avenue Honoré-Mercier (located in front of the Quebec Parliament Building and just before the Saint-Louis Gate). Turn right onto Rue Saint-Jean (3rd light). The hotel's entrance is the 1st on the left. Upon leaving Dectro, turn right until you reach Boulevard Wilfried-Hamel. Turn left and follow the directions for 73 South Highway towards Pont-Pierre Laporte. Stay on this highway and take the Highway 40 East (Est) exit. The highway becomes Blvd. Charest East (Est). Stay on this street for approximately 10-15 minutes depending on the traffic. Turn right on Rue Dorchester (one-way) and then Côte d'Abraham. When you come to the four lane Avenue Honoré-Mercier intersection, turn right. Stay in the left lane, because you will be turning left onto Rue Saint-Jean. The hotel's entrance is the first on the left. Upon leaving the airport, turn right onto Route de l'Aeroport. Stay on this road until you get to Highway 40 East (Est). The highway becomes Blvd. Charest East (Est). Stay on this street for approximately 10-15 minutes depending on the traffic. Turn right on Rue Dorchester (one way) and then Côte d'Abraham. When you come to the four lane Avenue Honoré-Mercier intersection, turn right. Stay in the left lane, because you will be turning left onto Rue Saint-Jean. The hotel's entrance is the first on the left. I really enjoyed the Symposium. Sometimes these events are a waste of time and money, but this was definitely worth it! The Symposium was very good and I got a lot out of it. I even got to visit a city I had never been to before. 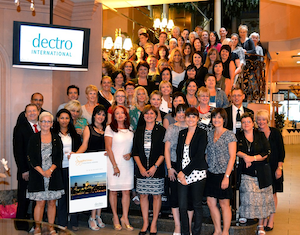 It was nice to visit Quebec City and to see the whole Dectro team. I really loved the Symposium a lot. Please do it again. As always, thank you for a great conference. I have attended all three that you have given previously. The Symposium was a blast. The whole Dectro team was amazing. I liked the factory visit and the whole behind the scene work in progress. Outline the steps needed to integrate Modern Electrolysis procedures. 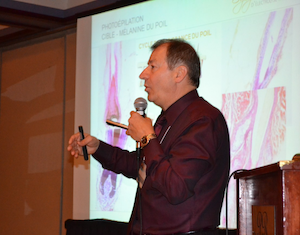 Understand skin physiology and anatomy associated with Modern Electrolysis procedures. Identify the most effective Electrolysis marketing opportunities needed to increase revenues by converting your existing patients to Modern Electrolysis patients and attracting new clients. Yes! All attendees will have the opportunity to earn up to 2.00 CEU's to accumulate Continuing Education Units as a condition of licensure in many States in the US. Please check with your local Electrology Association for CEU's requirements in your state. 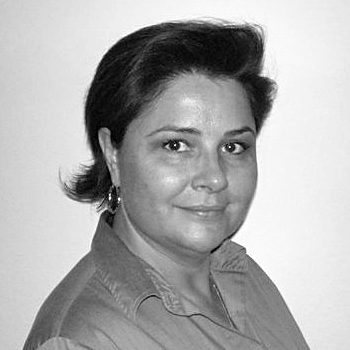 The Electrolysis Workshop will be held on the last day of the Symposium. This one-day hands-on supervised session will enable electrologists to work with the latest technologies, experiment with new modalities and probes types, enhance their insertion skill and adapt their body posture to reach different body areas. 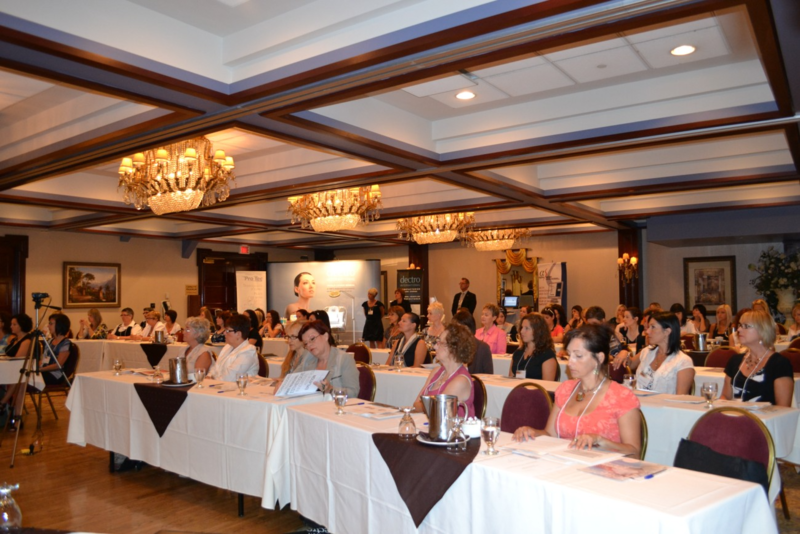 This portion of the symposium will also offer a practical application and demonstration of new services using the latest technology trends in order to diversify your practice by offering the most profitable procedures. Register early because places are limited. Do I need to be a certified Electrologist to register? Yes. 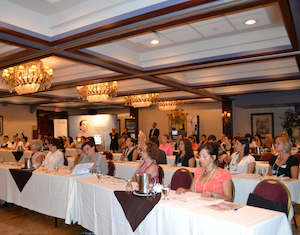 The Modern Electrolysis Symposium is for certified professional Electrologists only. What is the Symposium's cancellation policy? All but $50 of the registration fee is refundable if your inability to attend the Symposium is made known on or before Monday, June 27th 2015. No refunds will be made after this date. 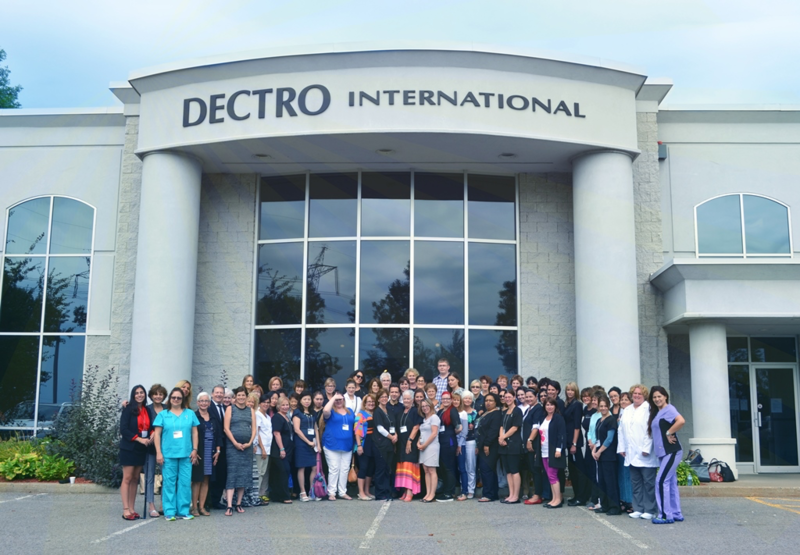 In 2011, 46 Electrologists coming from 9 different countries attended the Modern Electrolysis Symposium. If you have any question concerning the Modern Electrolyis Symposium, don't hesitate to contact us. It will be a pleasure to help you.